Happy Wednesday everyone! Whew… does anyone else feel like this week has FLOWN by?!? I don’t know if it’s because we are getting closer and closer to meeting little man and are officially almost through the 1st week of our third trimester, but I the days are all running together! I did want to give a quick update on our sweet guy! We have our 29 week appointment Monday and will be given a glucose test (normal procedure) to make sure I don’t have gestational diabetes so if you all would say a little prayer for that we would be extremely grateful! Baby Boy Brayden is quite the mover and the shaker (a lot like his Mama who can’t sit still for too long) and he kicks, stretches, moves, pokes and prods all day and night! I love these movements because I know he is growing and doing great, but it has really kept me from sleeping for more than 3 full consecutive hours at night. I think all of this is God’s way of introducing interruptions into my sleep cycle for when he gets here and has to feed every few hours! Other than that, I am working diligently on his nursery and I am going to do a sneak peek post VERY soon not sure with or without photos yet to let you all know the pieces I have chosen for his space! I love decorating his nursery and setting out a few of his little outfits and imagining him here, it’s all very surreal, exciting and scary for me all at the same time! It’s hard to believe next year we will almost have a 1 year old at Easter, wow!! Ok, so I will have a post up on specifically baby very soon so stay tuned for his nursery sneak peek as well as my top items I am registered for! 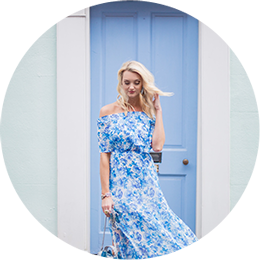 In the meantime today’s post is actually about Easter dresses! Is it just me or is Easter SUPER early this year?!?!? I am ready for the warm weather to STICK AROUND that is coming into NC tomorrow and should be here through Sunday! When I think of Easter I think of sweet patterns and lots of lace so today’s Easter outfit ideas incorporate both and you still have time to rush ship them just in time for Sunday! I have created an EASTER Boutique on the blog HERE as well as below where all you have to do is click the item you like and it will take you right to purchase! This year, lace will not be an option for me because pretty much ANYTHING with a zipper is OUT in the 3rd trimester 🙁 but I fully anticipate to be in a lace piece next year with our little man by my side! I hope you all enjoy this boutique and these pieces as much as I did putting them together for you all! XOXO!